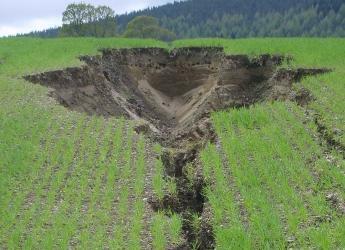 "The report also provides a better understanding of field-level effects with evidence suggesting that erosion could be minimised by adopting best management practices, by avoiding compaction and through effective tramline management"
Dr Allan Lilly, a soil scientist within the Institute’s Environmental and Biochemical Sciences group in Aberdeen and co-author of the report, said the study collates the current state of confident knowledge for Scotland. The report also provides a better understanding of field-level effects with evidence suggesting that erosion could be minimised by adopting best management practices, by avoiding compaction and through effective tramline management. The study can be downloaded on the ClimateXChange website.